Beautiful and durable contoured “wrap around" laminate covers all surfaces for easy cleaning. Beige laminate 21"W x 17"D desk surface extends 20 ¼" from the wall when open. 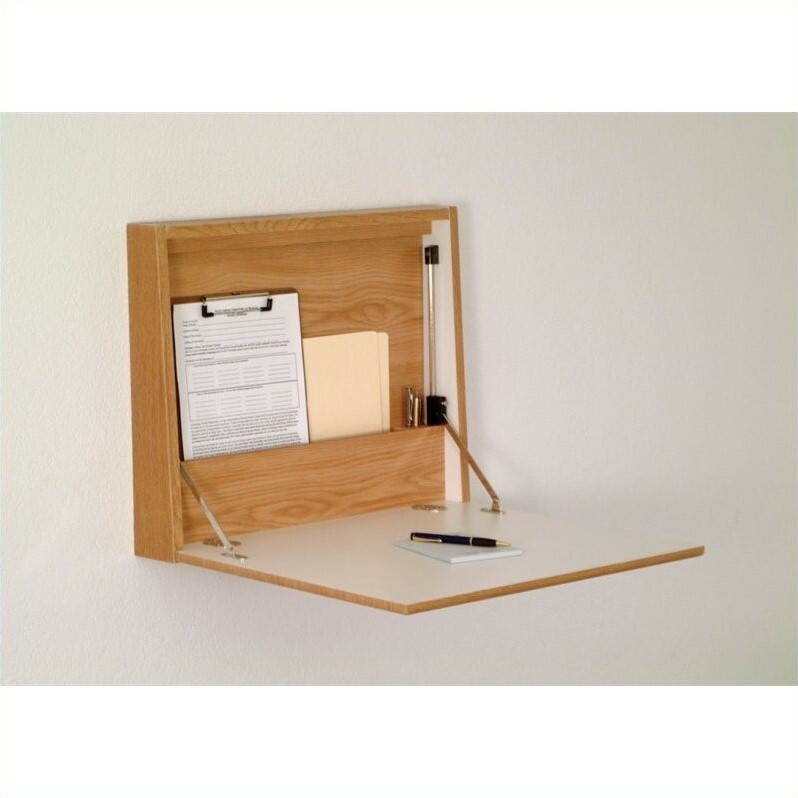 Desk features a dual pen holder and large pocket for folders, charts, envelopes and supplies. Shallow closed depth projects only 4" from the wall and makes these desks ADA compliant. Desk can be positioned for sit-down or stand-up use. Extra strong magnetic closure keeps desk tightly closed and deluxe chrome braking hinges assure soft opening. Available in oak or mahogany wood finishes. Must be mounted to studs with included heavy-duty mounting hardware.